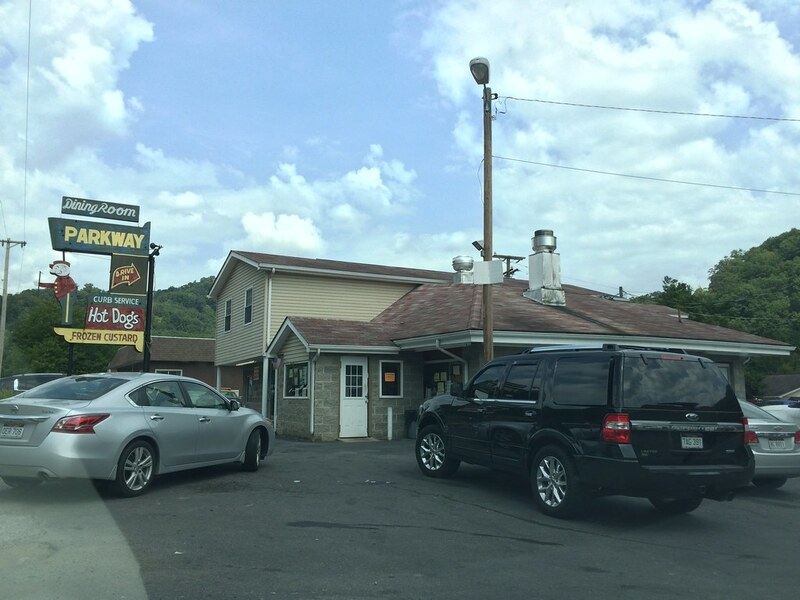 The Morgantown Eats Culinary Crawl will kick off the town's first-ever restaurant week. The culinary crawl, organized by a class in WVU's Reed College of Media, will feature samples from downtown Morgantown restaurants on Saturday, Dec. 5. The following restaurant week will feature specials, discounts and other featured items each day at select restaurants. 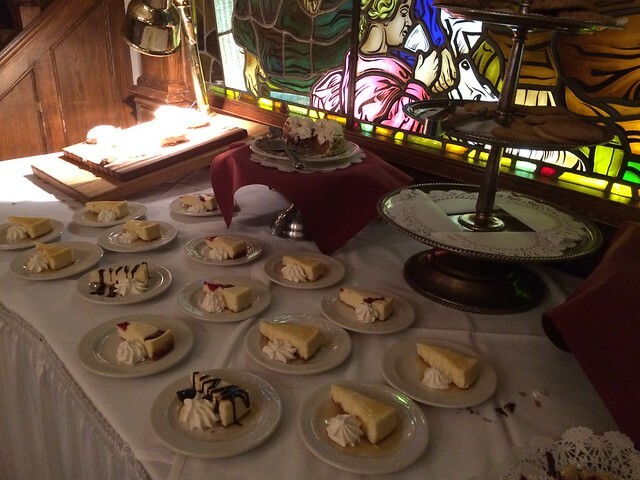 Geah Pressgrove's class first hosted the culinary crawl last year, which was a ton of fun and raised around $10,000 for the Monongalia Arts Center. The class teamed up with the Greater Morgantown CVB, Main Street Morgantown and the Monongalia Arts Center to bring young professionals downtown to showcase local offerings, while also making note of available parking. This year's format has changed a bit; there are two separate tracks from which to choose. The early tour check-in starts at 2-2:30 p.m., and the late tour check-in starts at 4-4:30 p.m. Tickets for each tour are $35, and are likely to sell out. 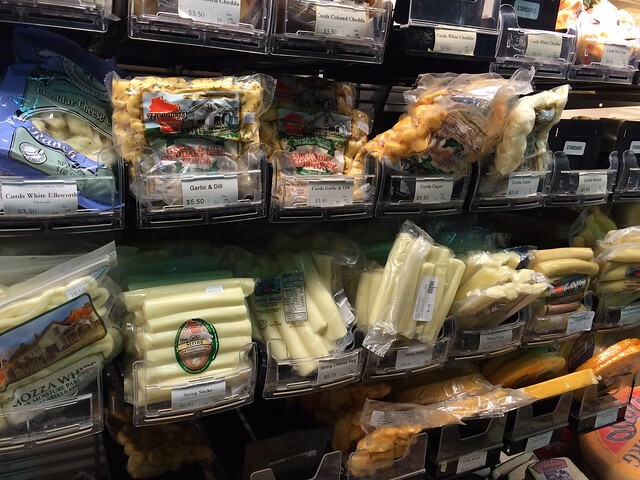 Both tours will feature samples at the MAC during check-in, which include J.W. 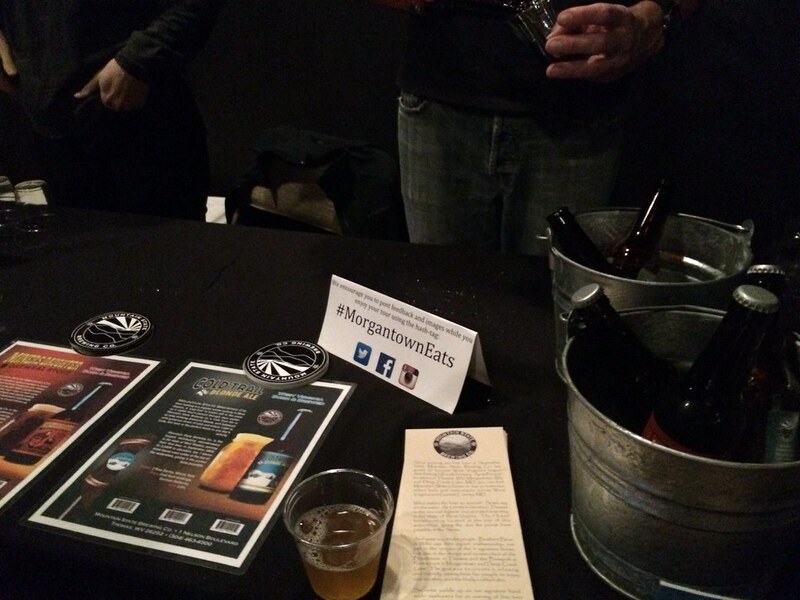 Thirsty's, Morgantown Brewing Company, Sargasso and Table 9. 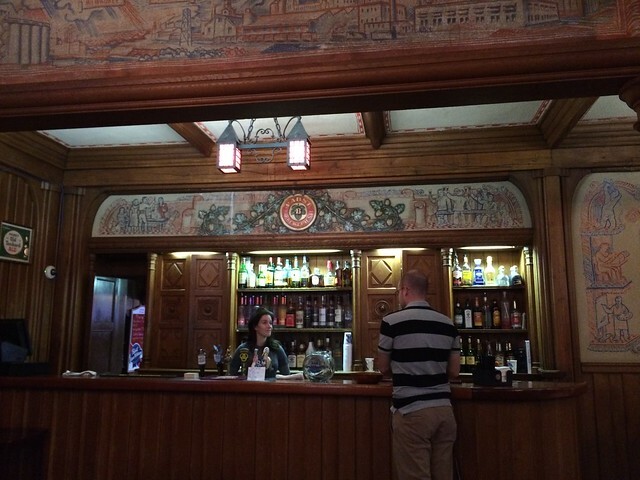 Then, each tour has different restaurants. Chico’s Fat – Warm up with a spicy chicken enchilada tasting, paired with queso and chips. Garcia’s Latin Market – Sample Puerto Rican coffee with a warm churro. High St. Pasta – Enjoy a meatball with sauce and warm garlic bread with alfredo. 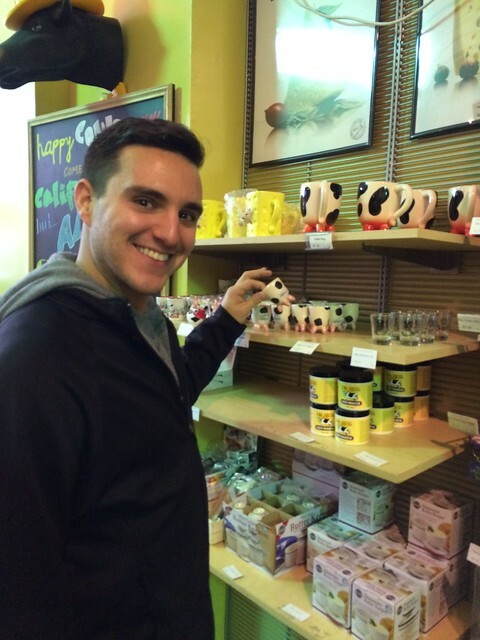 T.K’s Juice – Try something new with bubble tea, and savor green and black tea. 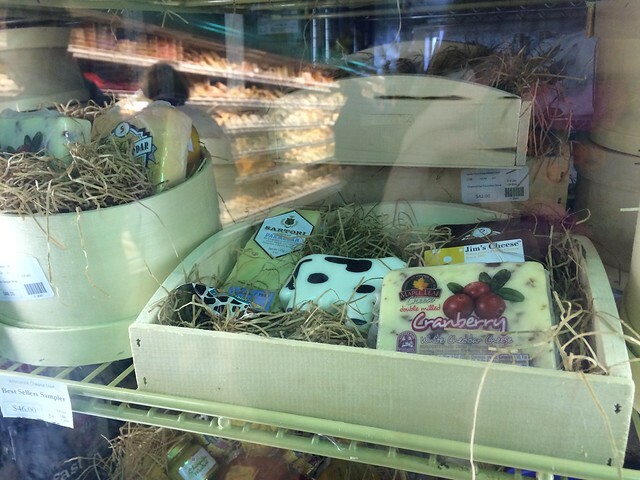 Tin 202 – Savor almogrote with farmhouse cheese made from scratch, accompanied with a baguette. A specialty cocktail sample will also be available for those guests over 21. Black Bear Burritos – A pollo pibil cup and refried garbanzo beans: House fried tortilla cup filled with a Yucatán shredded achiote chicken garnished with pickled onion and served with a side of refried garbanzo beans. 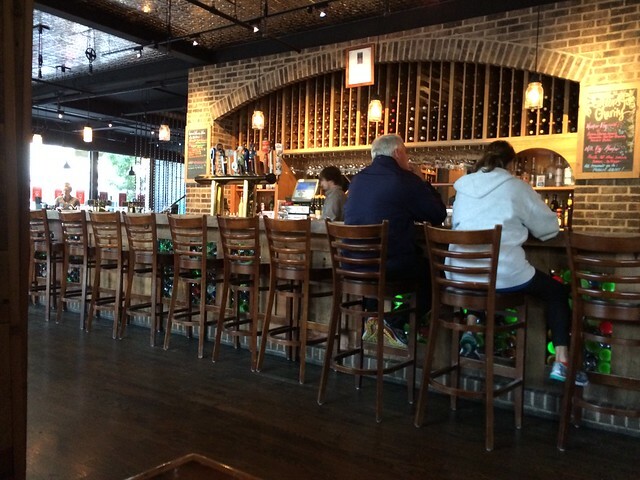 Chestnut Brew Works will also provide a craft beer tasting that pairs with dish. The Cupcakerie – Select a seasonal flavored mouthwatering mini cupcake. 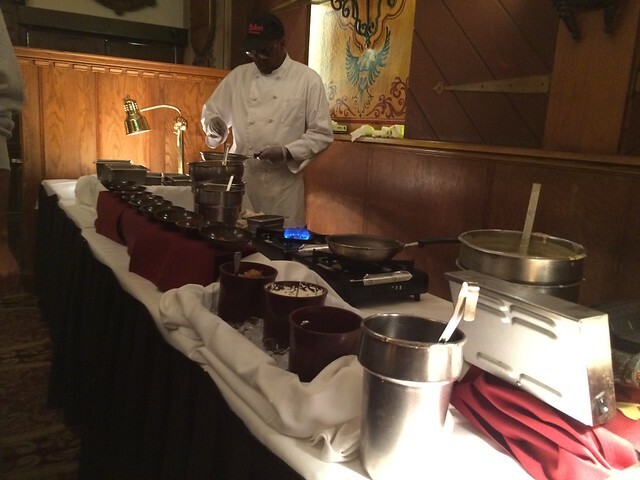 Vintage Room – Chef Thomas will be presenting a variety of wood-fired pizzas and featuring a sample of coconut shrimp. Exclusive wine tasting will also be available for guests over 21. Sugar Bears Wall St. 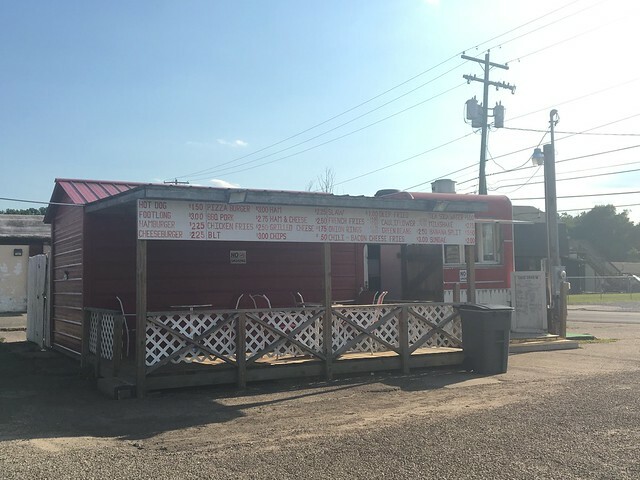 Grill – Sample small bites of diner favorites, comfort food and a homemade brownie. Zaytun – Nosh on a variety of pizza, gyros, pasta and rice dish samples. 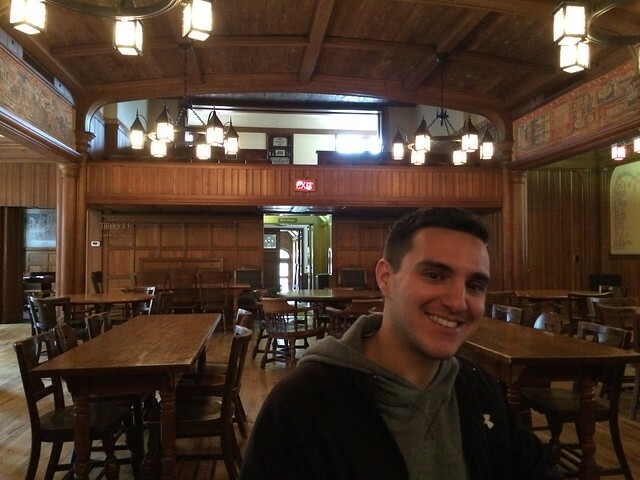 Each tour will have approximately six groups with no more than 25 participants per group. Guided tours will leave from the MAC and progress through each of the six restaurants on the tour. Tours are expected to last approximately three hours. 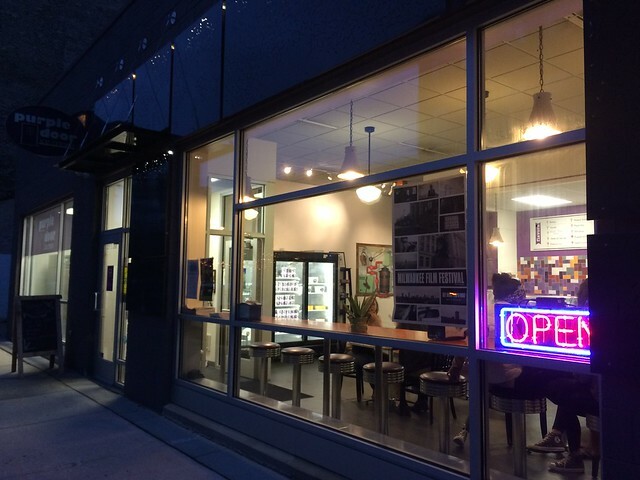 Tours end at Arts Mon, located at 201 High Street. 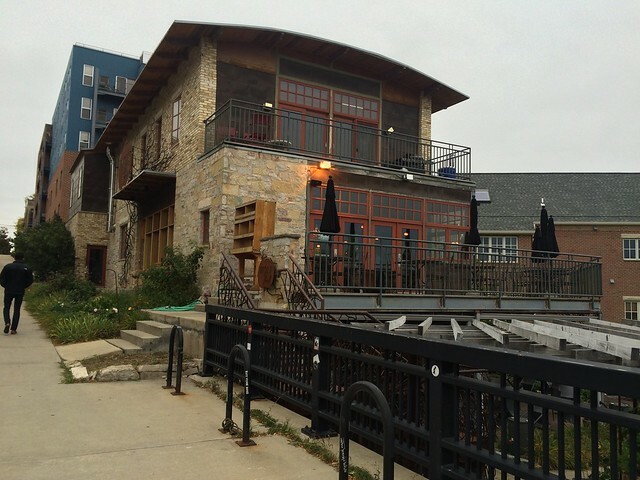 Restaurant Week kicks off Dec. 5 and will run through Dec. 12. 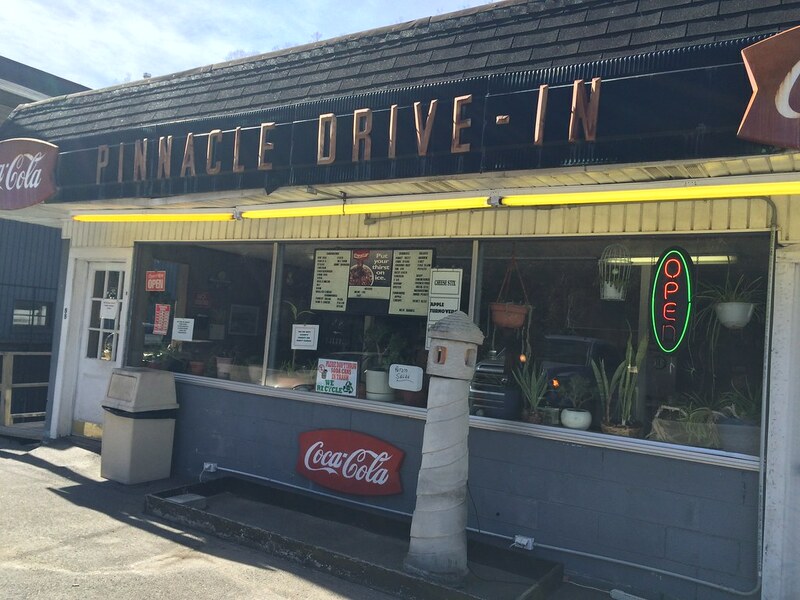 It will feature 20 participating businesses with menus starting under $10. 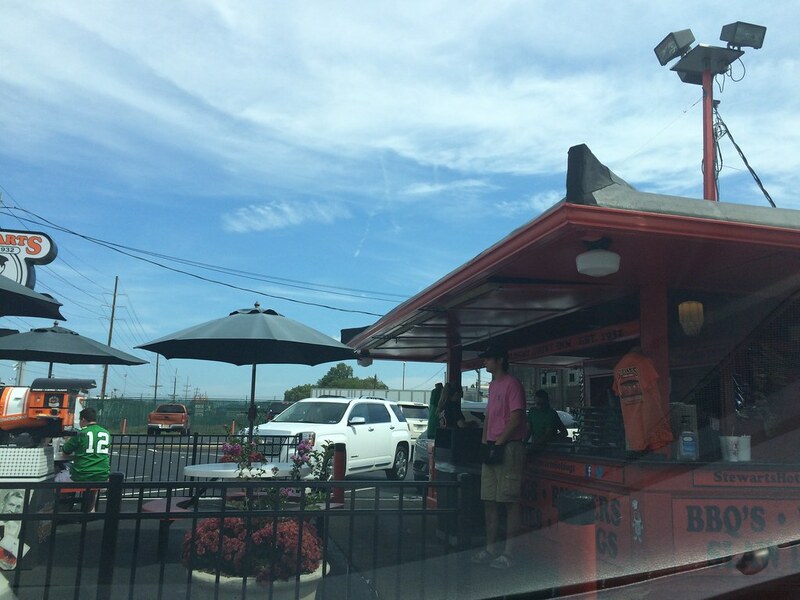 Garcia’s Latin Market – Buy 2 delicious tacos and get fresh-made chips and salsa for free. 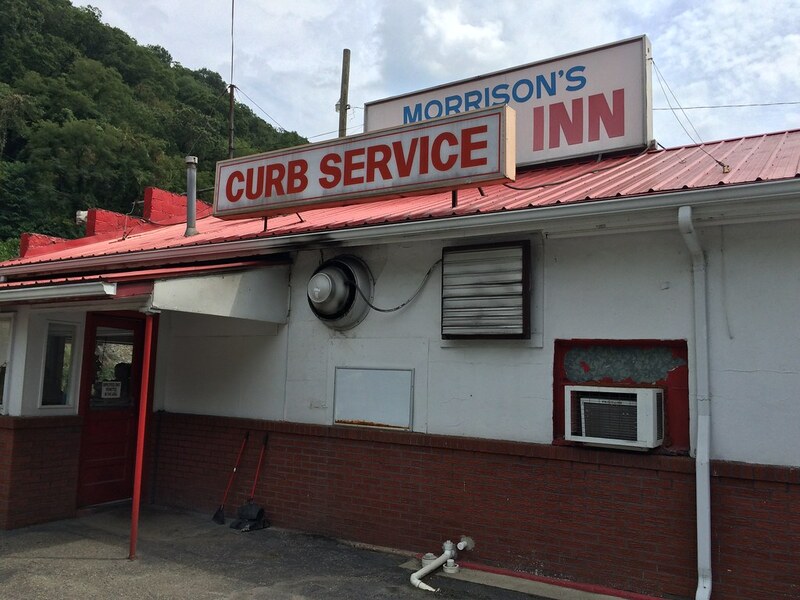 Iron Horse Tavern – Iron Horse will be doing a West Virginia Craft Beer Takeover. A brewer will be on hand to meet and greet with guests and also to answer questions. Main Entree : Chicken Francaise, Shrimp Montmarte or Steak Diane. Dessert : Choice of our homemade cakes/pies. 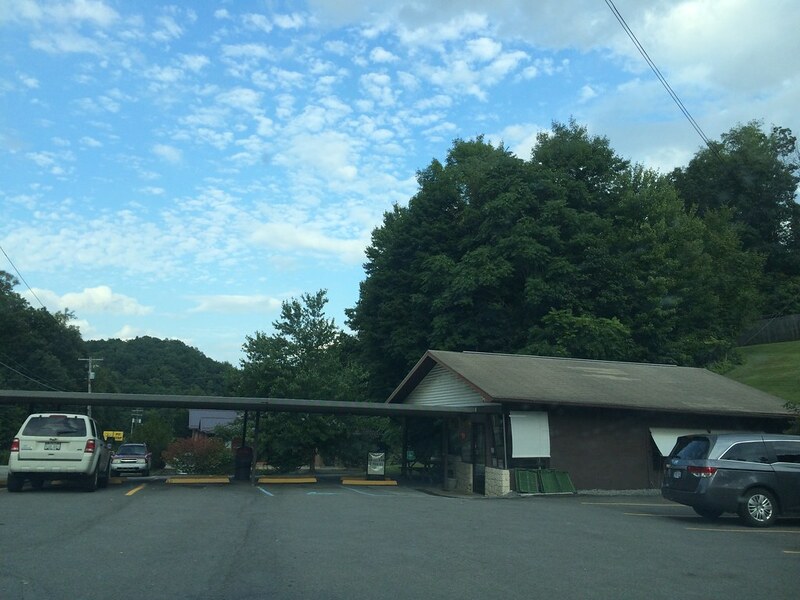 Mountain State Brewing Co. – 20% off entire menu, excluding alcohol. Tin 202 – A 3-course dining experience for 2 for $50.00 per couple. 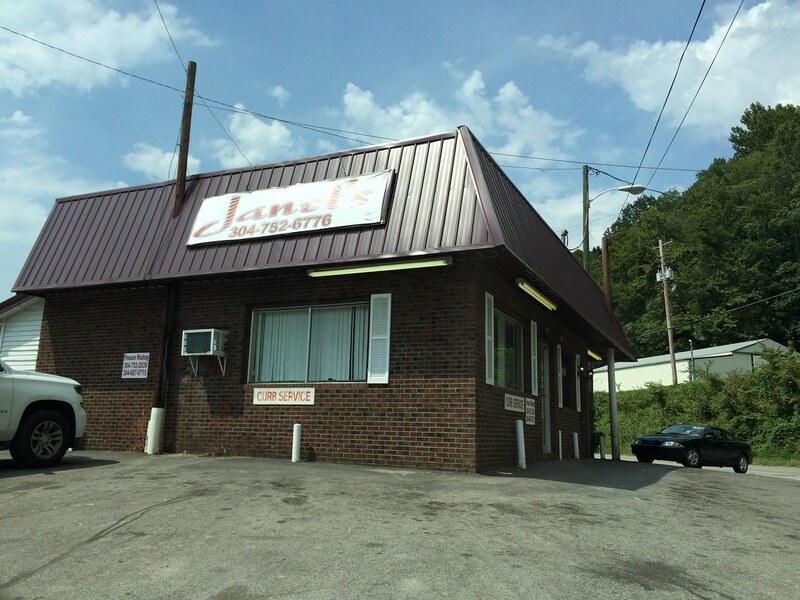 *Reservations : (304) 212-5863. There will be a wine tasting with each course. Gratuity not included. First course: Cold beet soup, corn and crab chowder or side salad. Second course: (Each guest chooses two small plates ) Stuffed and toasted brie, chicken confit, pork belly, and petite dessert. First Course: Arugula & Spinach Salad or Vintage Bleu Cheese Bacon Wedge. Third Course: Three layer Chocolate Mousse Cake, Bananas Foster or Oliver Oil Torte. Sugar Bear’s Wall St. 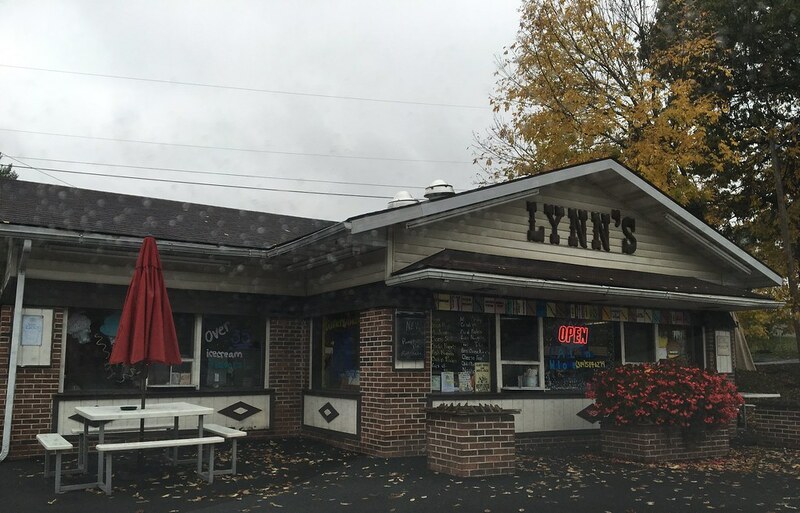 Grill – 20% off entire menu, $0.50 brownies and cookies. *Reservations required at some establishments. 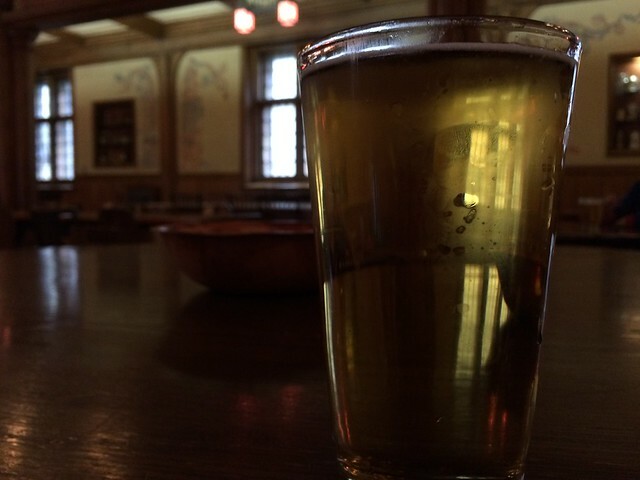 I couldn't go to Milwaukee and NOT try some of the beer. 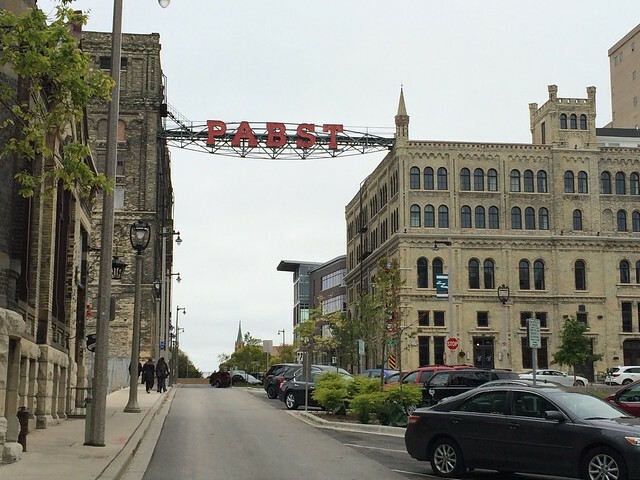 Pabst Blue Ribbon is one of a few beer giants that calls Milwaukee home. 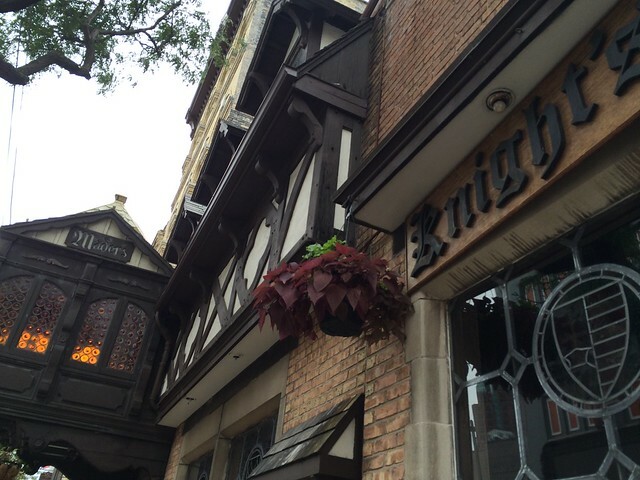 We took a historic tour of the buildings (and got some beer in the process!). It was interesting to hear how, really, the "hipsters" brought PBR back. They also serve some of these older brands at the bar. Very cool. Less of a brewery tour and more of a just learning about the history of the company and seeing some of the older buildings where this history took place. But still, very cool to learn a little more. Since my previous pizza experience was less than stellar, that pizza void was still not filled. I still had a pizza-shaped hole in my heart. Pizza Man filled it. 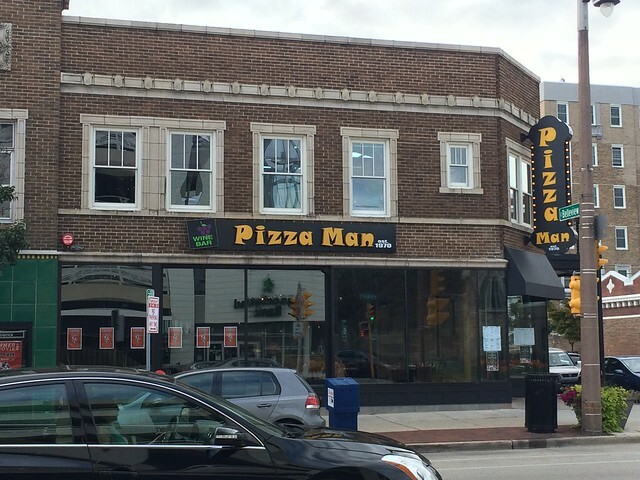 Pizza Man is located in a fairly new space, despite being a Milwaukee landmark. 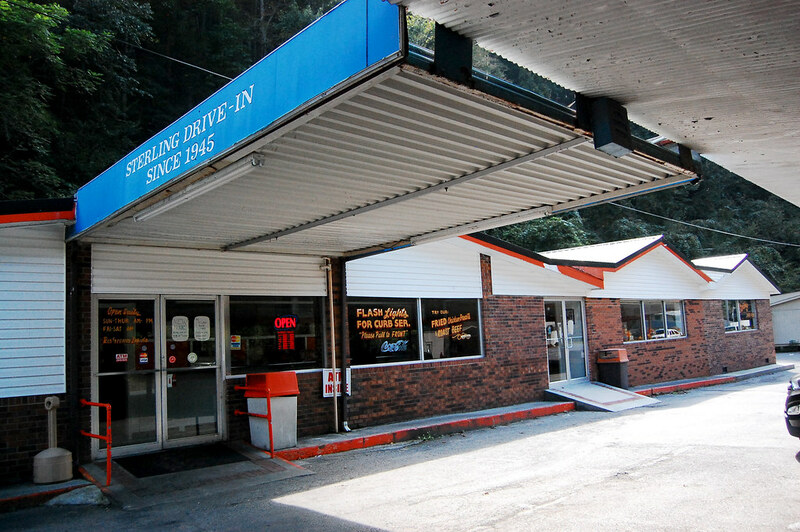 In 2010, the restaurant burned to the ground. Three years later, a new building was found, and they're still building up the same sense of atmosphere they once had. I, personally, think they have it. 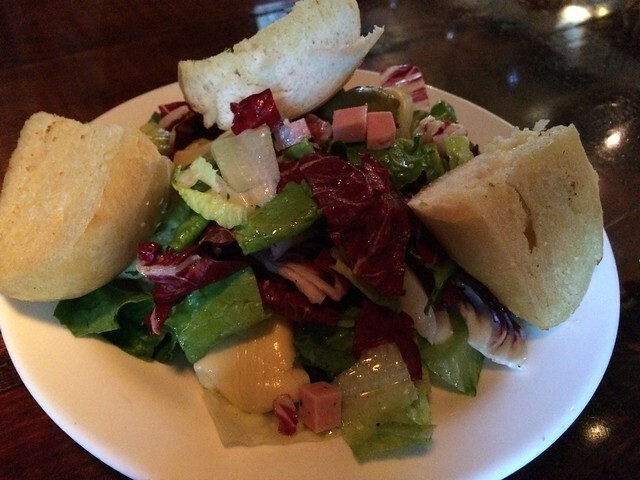 We ordered the "Zak's Antipasto Salad," which had salami, aged cheese, fresh and pickled vegetables, greens, house vinaigrette and garlic bread. I apparently ignored the actually title of the dish and just read the description, thinking it was a platter - not a salad. So, when it arrived as a salad, I was surprised. Stupid. First off, this garlic bread is heavenly. I love garlic bread, and this was so buttery, it was heaven. The salad was very good, too. 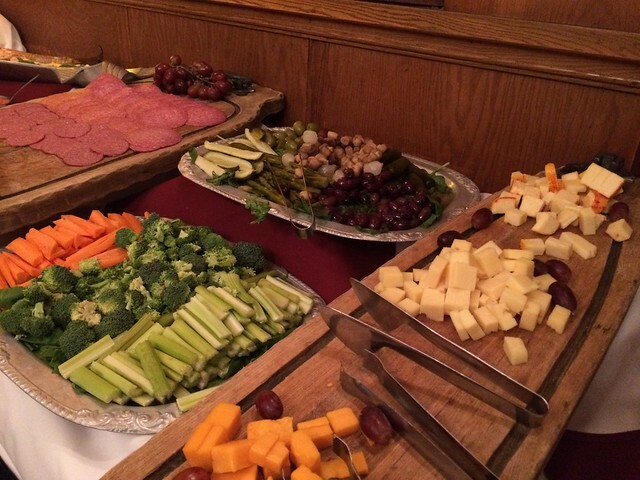 Lots of huge chunks of salami and cheese, plus the house vinaigrette had the perfect amount of tang. We also ordered the Pizza Man Classic pizza - Artichoke A La Mode. 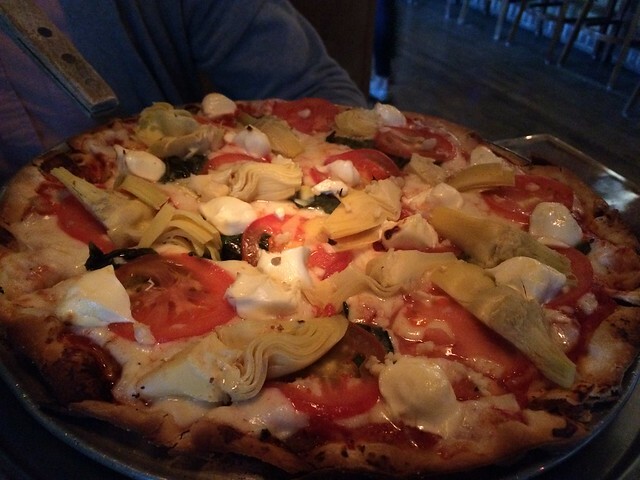 It has a classic base, artichokes, tomato, basil, cream cheese, and we added garlic. Seems pretty standard, except ... that cream cheese. It's like a typical margherita pizza, add a little artichoke for some bitter briney flavor, and then the cream cheese just turns it into this creamy, even more delicious pizza. Seriously, why don't we also put cream cheese on pizza? Because it takes a good pizza to this amazing pizza. Seriously good. "When the tomato was first introduced, it was widely considered poisonous. Aristocrats dined on pewter; the acid in tomatoes reacted with the metal, causing lead poisoning. Peasants ate from plates made of wood and were unaffected, so tomatoes became the poor man’s food. The legend grew, as legends do, to include stories of witches using tomatoes, a member of the deadly nightshade family, to conjure werewolves. The wild tomato’s Latin genus name, Lycopersicon, translates to “Wolf Peach.” Wolf Peach pays homage to rustic European cuisine that draws inspiration regional ingredients - including the illustrious tomato." I had actually made reservations for this restaurant, but, because I'm stupid, I got the reservation time mixed up with the time change to Central from Eastern. This led to us walking around the entire area for about an hour until it was actually time for our reservation. Wolf Peach does things a little differently. For one, they have communal dining in one part of the restaurant so that folks who don't know each other can eat together. 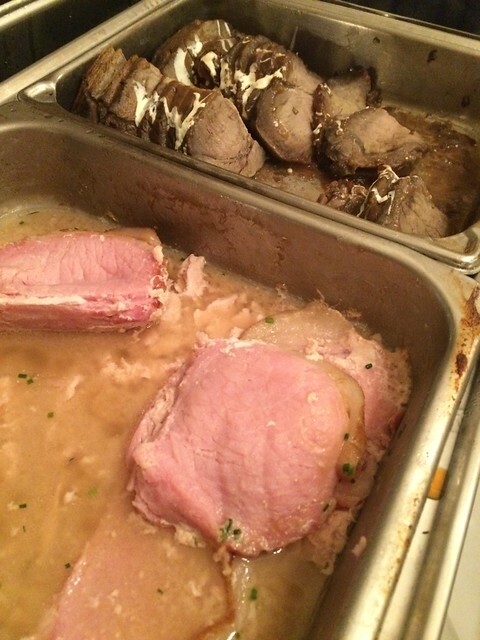 Also, they bring dishes out as they are ready, as opposed to coursing the dishes to "ensuring that they are fresh, bright and ready to enjoy." "Fueled by passion and a 6,000-pound wood-fired oven, we pair beautiful ingredients from local farms, purveyors and artisans to create food to feed the soul. 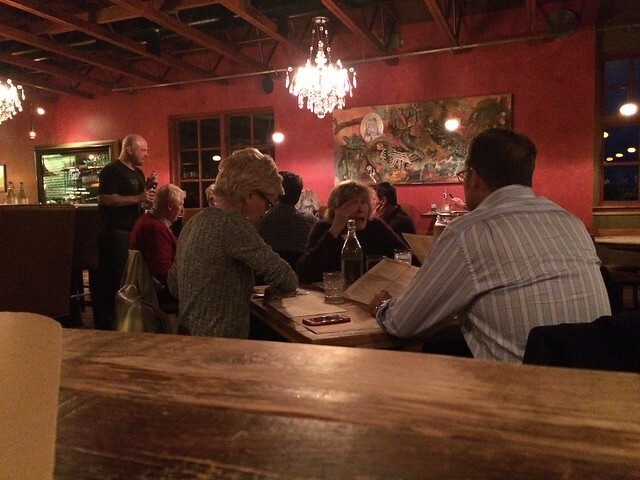 Our style of service is casual and communal ... We believe dining should be as much about enjoying the company as it is about savoring the fare ... Our menu is an eclectic mix of large and small plates designed to encourage sharing, cultivate interaction and foster a sense of dining at a family table." 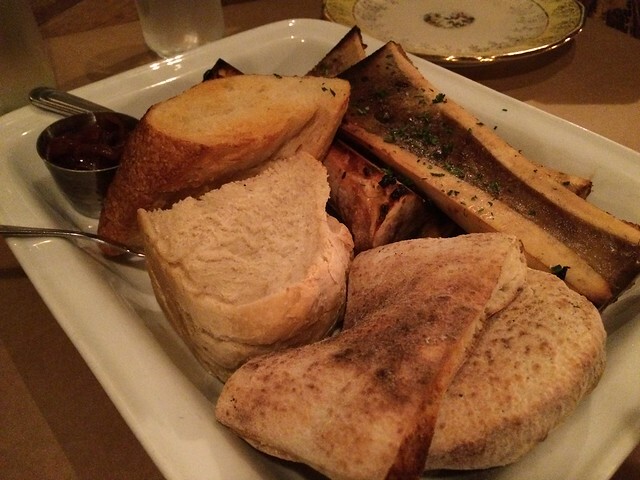 We started off our dinner with an appetizer of the smoked bone marrow. Yes, bone marrow - which has become trendy in recent years. It has this odd, carnal appeal - scraping animal bones free of the rich, gelatinous marrow. 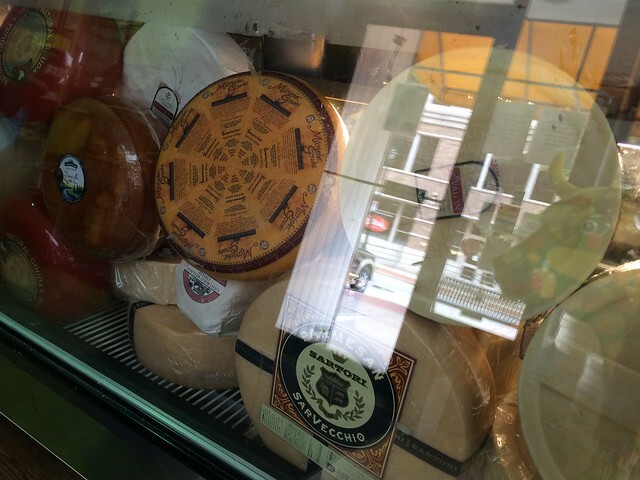 But, it has become this sort of delicacy - as raw or grisly as it may seem. It was served with sea salt, parsley, red onion jam and fresh bread. It has this buttery but almost sweet flavor. The red onion jam gave it more of a sweetness, and the bread gave it some much-needed texture. This was good, but mostly it was interesting. 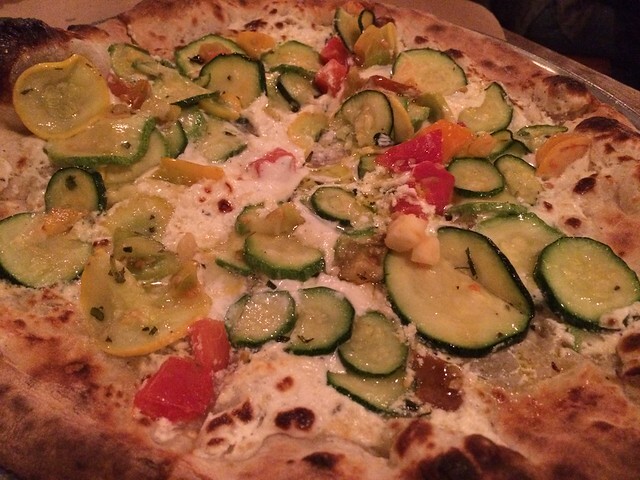 We ordered a pizza with whipped ricotta, baby summer squash, garden tomato, and fresh oregano. When I read this on their menu online, it included a honey Sriracha sauce and something else. I had my heart set on that already, and when we got to the restaurant, the pizza was slightly different. I still wanted to go with it. I wish I had taken a closer look at some of the other options, because this definitely did not wow me. It was actually pretty bland. It needed a heavy-handed dash of salt and other spices. The vegetables were not particularly flavorful, either. I wanted something light, but not flavorless. That honey Sriracha drizzle could've done wonders. I ended up taking the leftover sweet onion jam and putting it on the slices of pizza. If you visit, opt for a different one. Many others sound tasty. 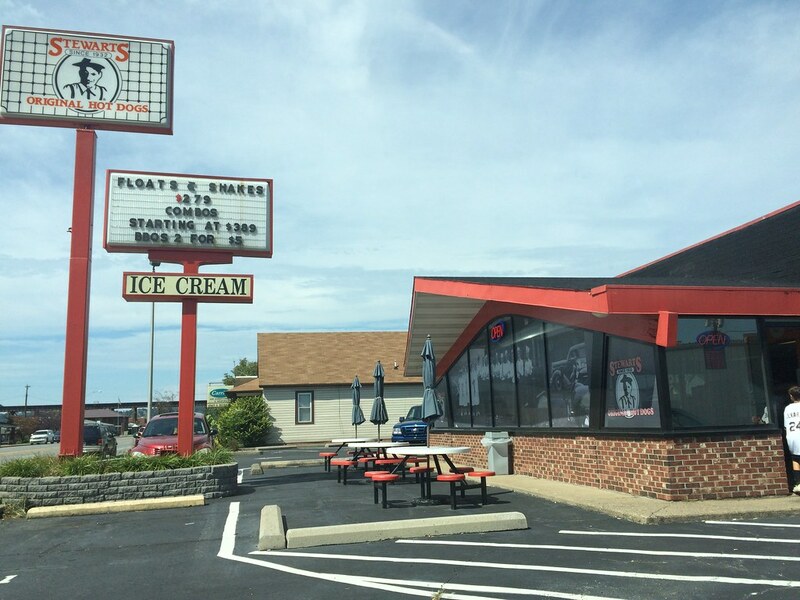 Frozen custard is a thing in the midwest. Frozen custard is ice cream, but made with the addition of eggs, which makes it have a smoother texture and stay colder longer. 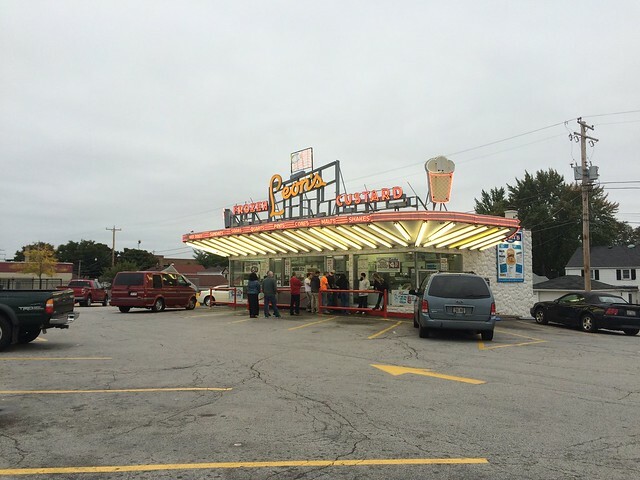 It's specifically popular in Milwaukee, which is the "unofficial frozen custard capital of the world." 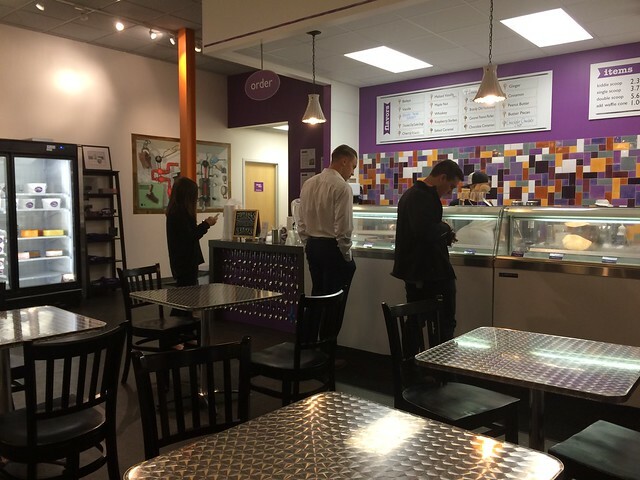 Apparently, the city had the highest concentration of frozen yogurt shops in the world. 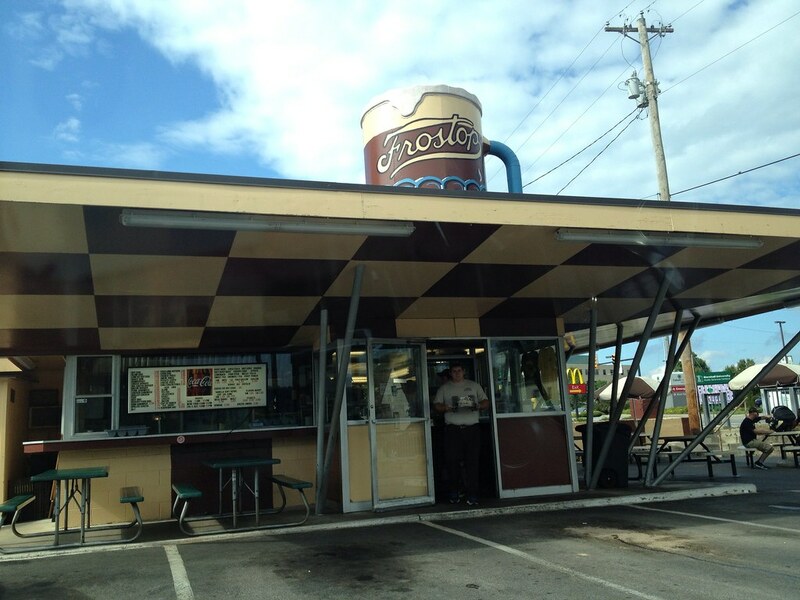 Leon's Frozen Custard is one of the giants in the area. 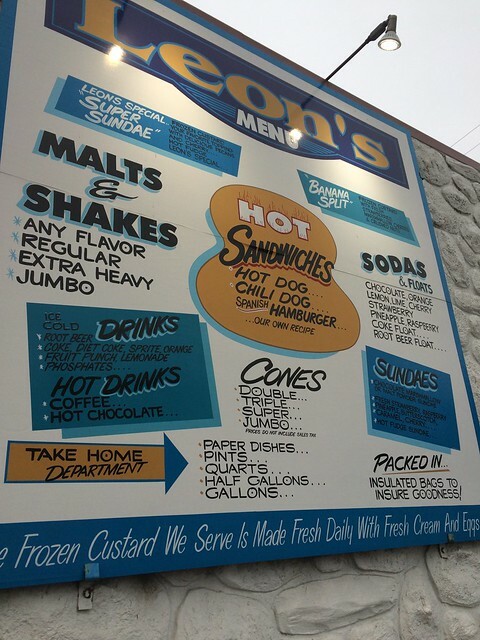 They have malts, shakes, sundaes, cones, sodas, floats and burgers and hotdogs. 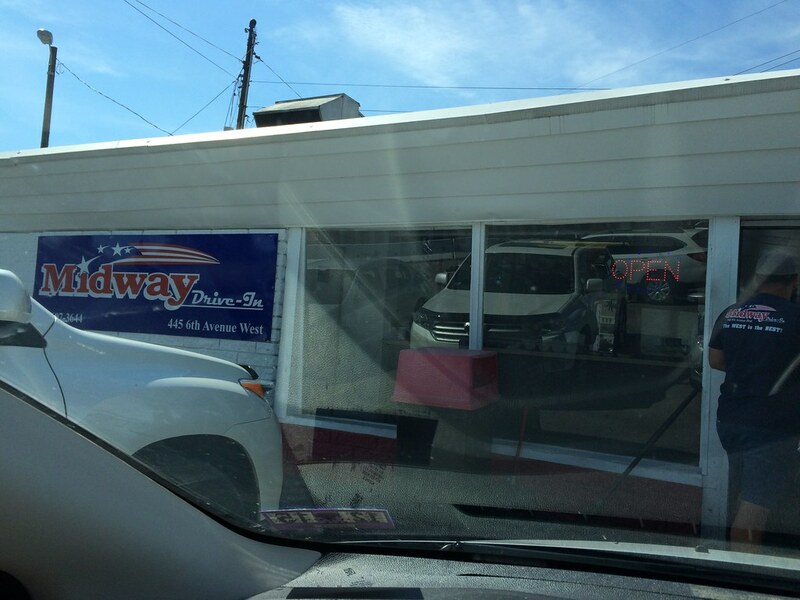 You order at the window and grab your frozen custard to go. There wasn't any seating around that I saw. 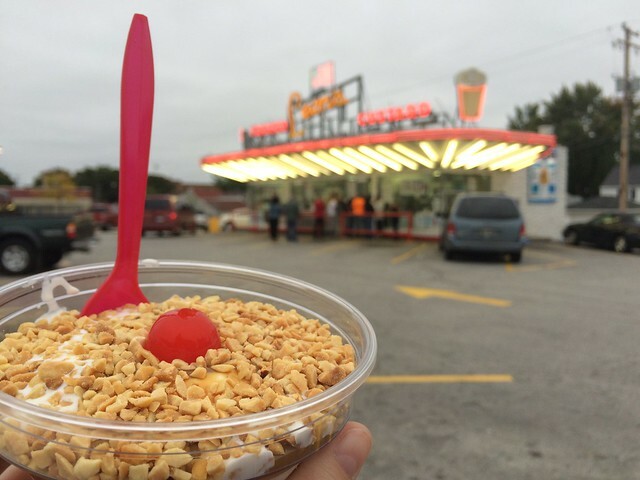 I went for a caramel sundae, which came topped with nuts and a cherry. It was freezing out this day, but we sat outside at the neighboring business, scarfing down this frozen custard. 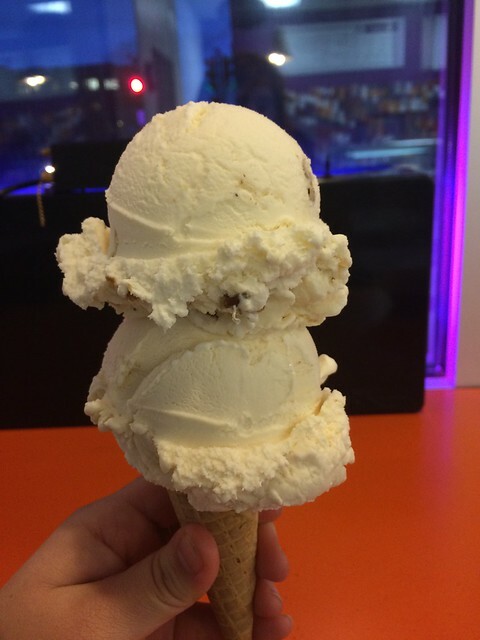 It's creamier than typical ice cream, and it was covered in caramel, which makes every dish better. So good. 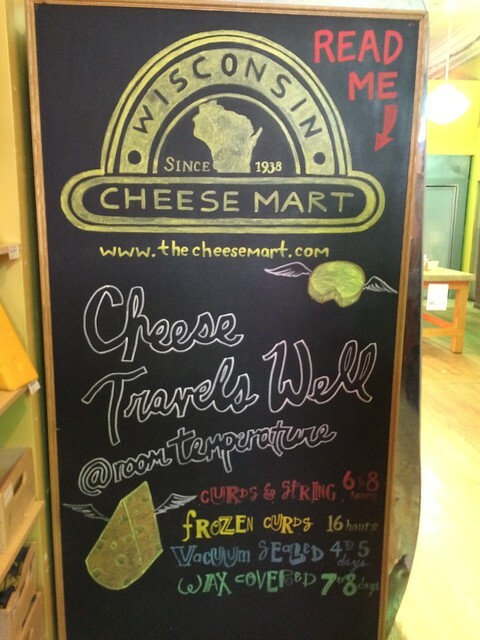 Wisconsin is known for its cheese, so there was no way I was going home without trying some. 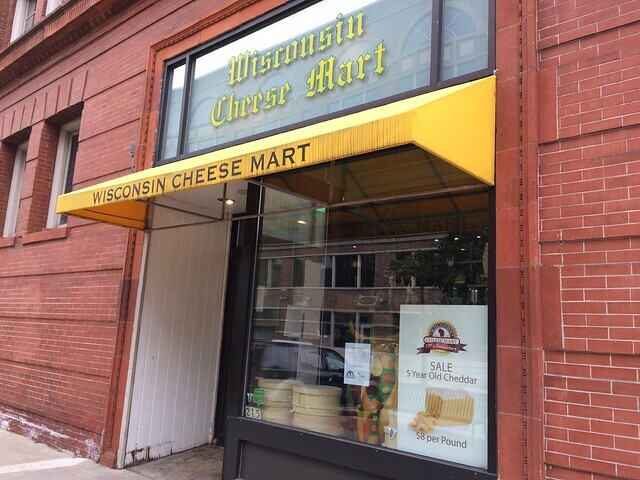 A quick search turned up the Wisconsin Cheese Mart as being known for its selection. 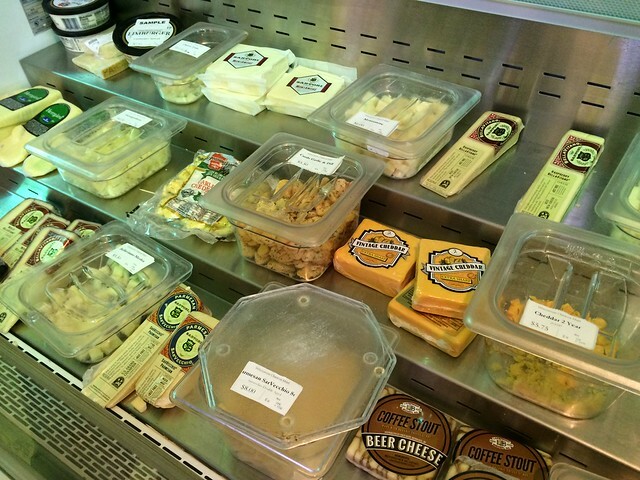 And they do have a ton - everything from curds and sharp cheddar to cranberry and beer cheese. 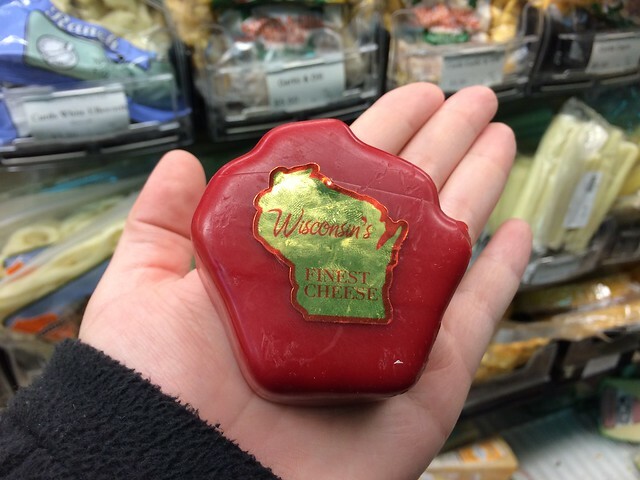 We ended up buying a tiny Wisconsin-shaped cheddar cheese in red wax. 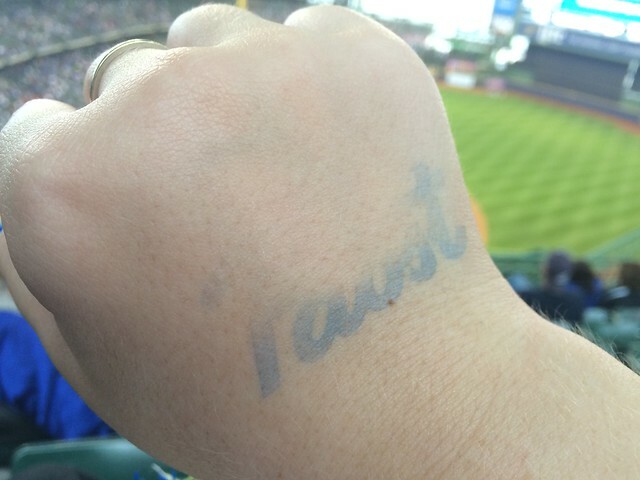 That I actually unwrapped as we were walking into a Brewers game. Doesn't get much more Wisconsin than that, does it? 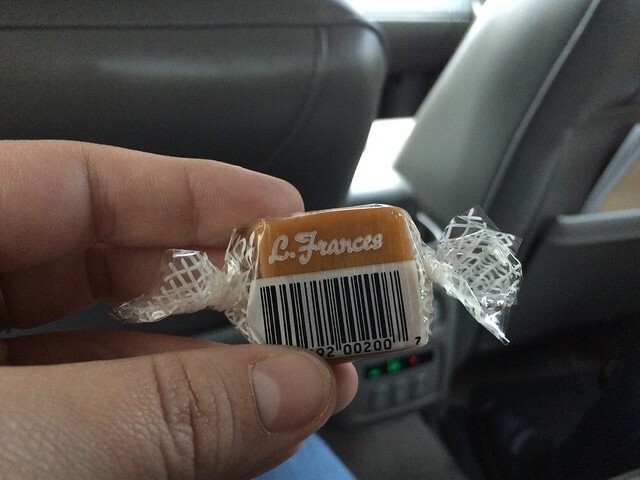 Also, I got a couple of these L. Frances Caramels, which were so creamy and delicious. That's me holding one up in the back of an Uber. 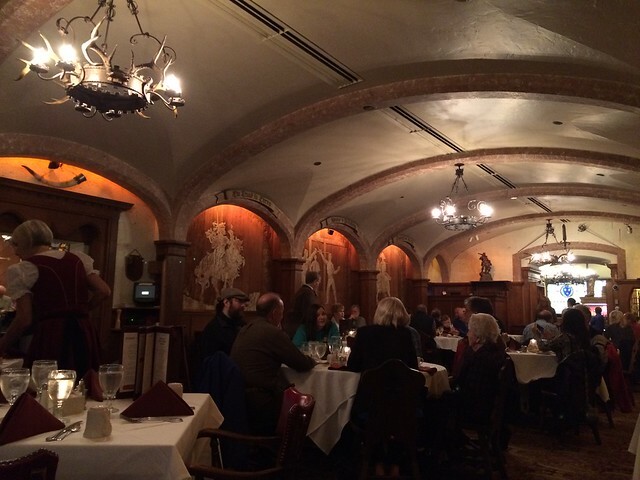 Milwaukee has a significant German population, which explains the beer and German restaurants in the city. 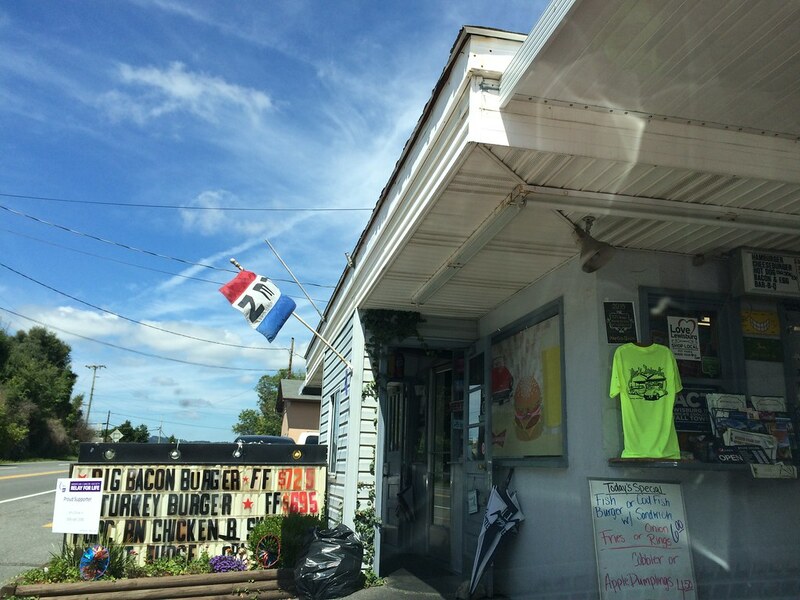 When scoping out new restaurants, there were a few German places that kept coming up, amongst them was Mader's Restaurant. 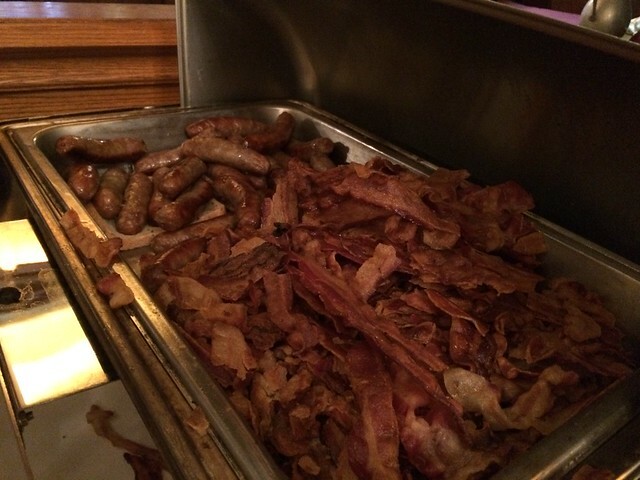 Unbeknownst to me, on Sunday it's a brunch buffet at Mader's. 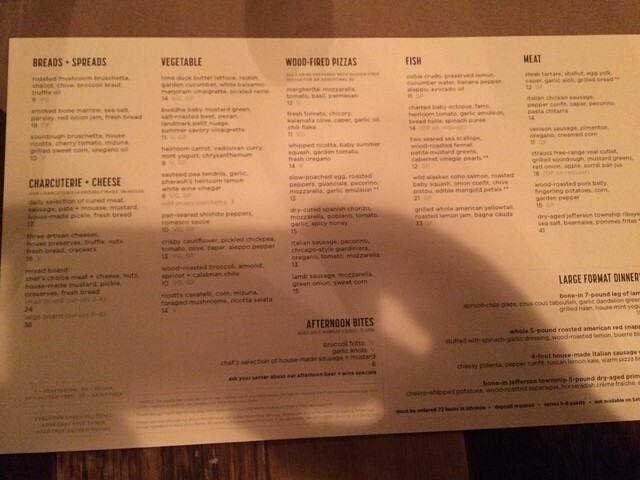 I don't even think there was an option to order from the menu, which made it awkward when after we were seated, we were waited for a waiter to come over. 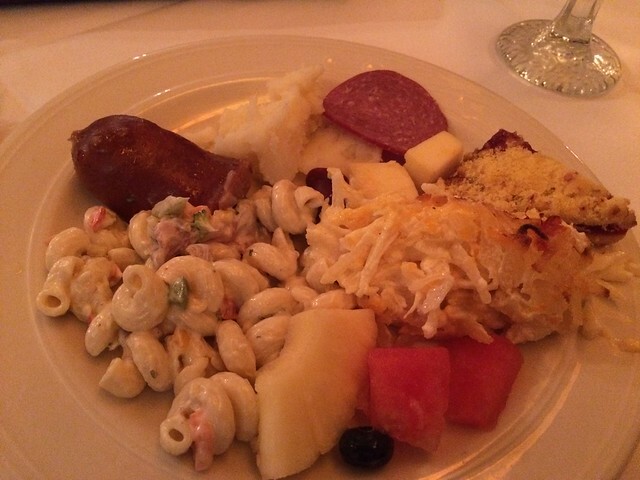 After just sitting for a while, we realized the buffet was the only option, so we made our way to the buffet area. 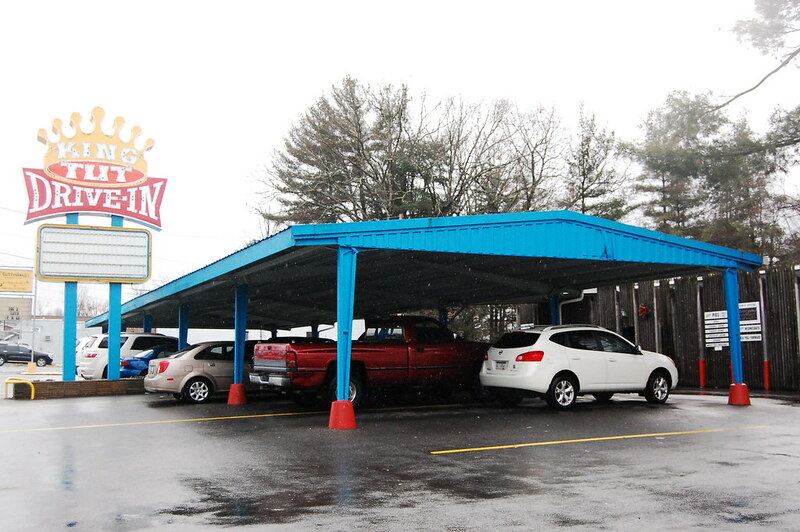 They have a ton of stuff, from breakfast: made-to-order omelets, french toast, scrambled eggs, sausage, bacon. 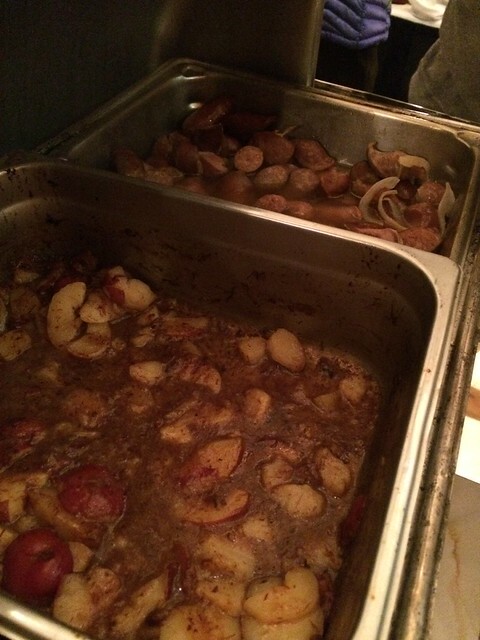 Then, there were the brunch entree items like Bavarian Sauerbraten, Kassler Rippchen, Hungarian Beef Goulash, Bratwurst and Knackwurst and chef's carving station. 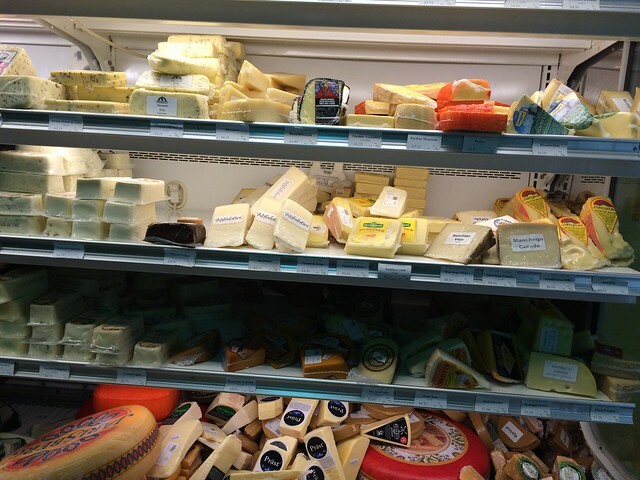 Also: pasta, soup, mashed potatoes, red cabbage, smoked salmon, shrimp, cheeses, fruit, vegetables, salad and desserts. 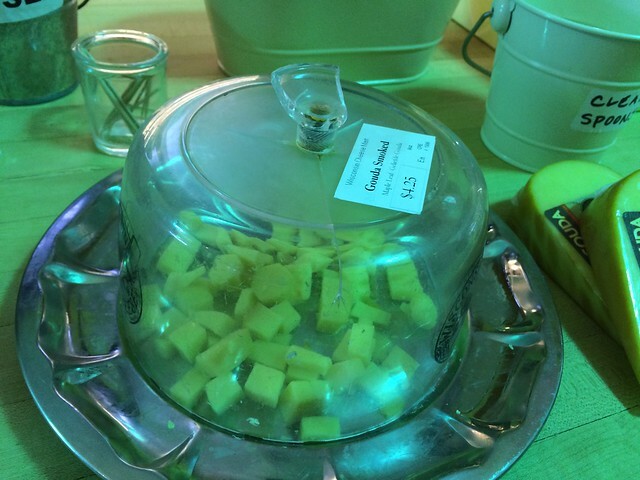 The only thing here I actually really liked was this cheesy mashed potato dish. 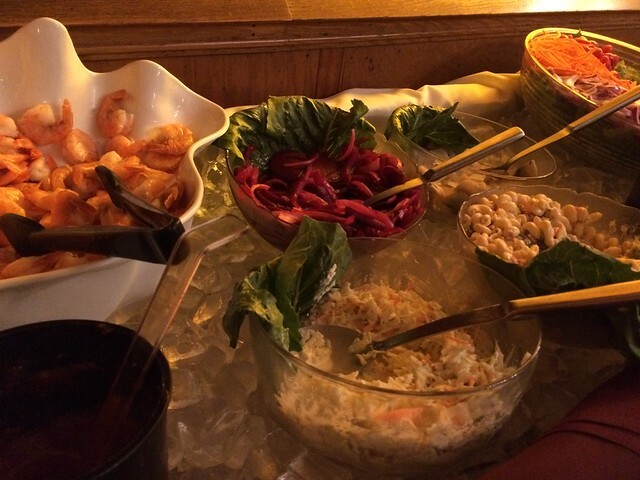 Everything else was, well, buffet quality. 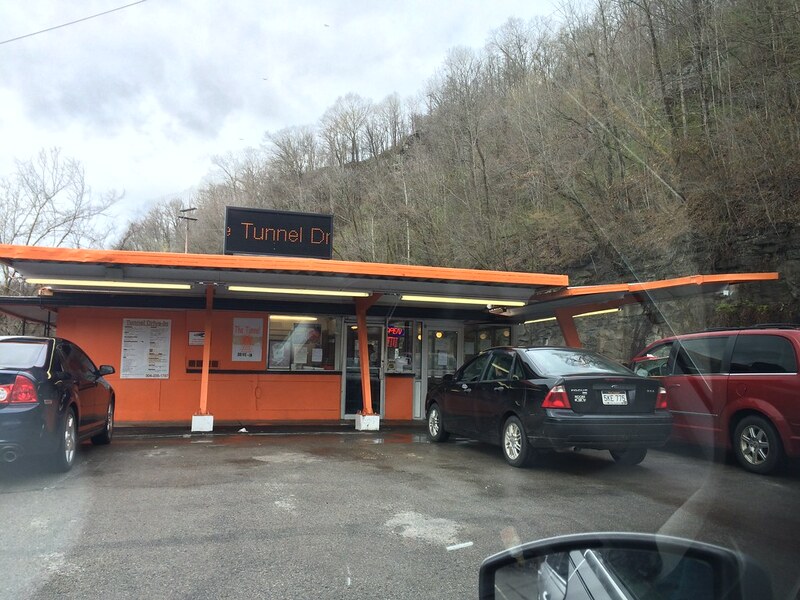 For $24 for a lunch, it's steep, too. So, a decent variety, but nothing mind-blowing.